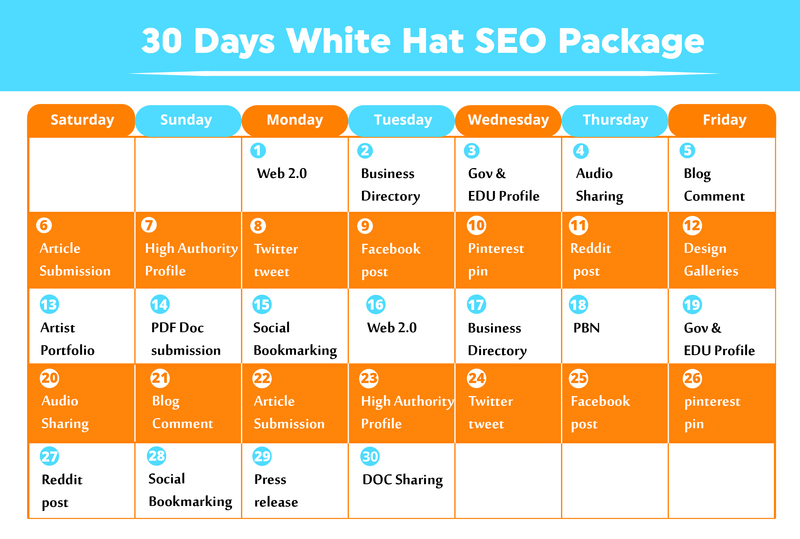 ""Only for Quality lovers ""
We are Providing Manually 30 Days Link building White Hat SEO Package to improve your ranking in google. We would run our SEO strategy Create High Quality High DA Backlink daily for one month for You. Our SEO Package is specially designed to Rank Your Website Youtube Video, Facebook Page, Twitter Profile,Wordpress Website, Amazon Page, Product Pages, Ebay . This technique has proven to be effective with the latest Google Panda, Penguin & Hummingbird latest update algorithm In this package we will make EVERY DAY new backlinks for you, all from unique domains and unrepeated.For this package we selected only high authority sites, so your site will receive quality Iinks on daily basis. *100% White Hat and Manual work. * Three months Missing links replacement Guarantee ! *Service based on the latest Google updates 2018! *free Detail report with username & password. At the end of our work you will receive handy and nice report with all created backIinks. Note : Do not waste your time! DO you want to check my sample work so must follow me or P.M me.. Thank you..
30 Days Link building daily White Hat SEO Package 2018 with PBN web.2.0 business and more just is ranked 5 out of 5. Based on 159 user reviews.